Behavior: Unlike her shy and sedentary relatives, Mossy is adventurous and extraordinarily curious. She is optimistic and compassionate and not easily disheartened. Interesting Abilities: Fungal Conjuration - can manifest any species of fungus, in almost any quantity. 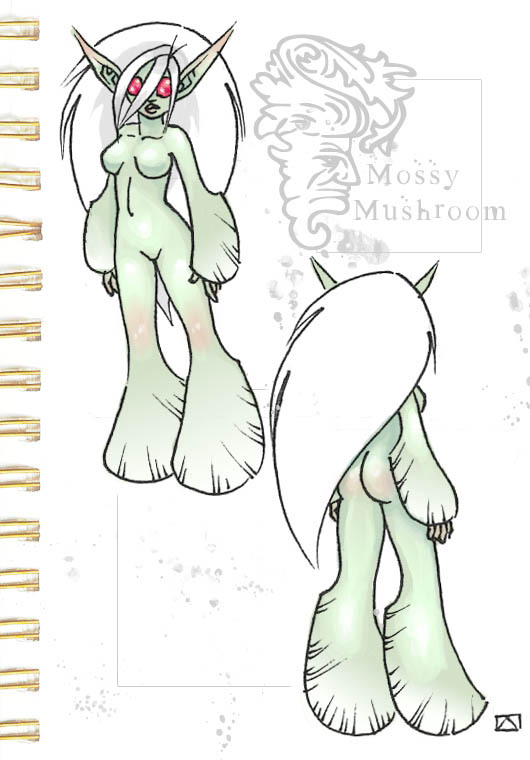 She can also exude fungal spores with hallucinogenic properties.